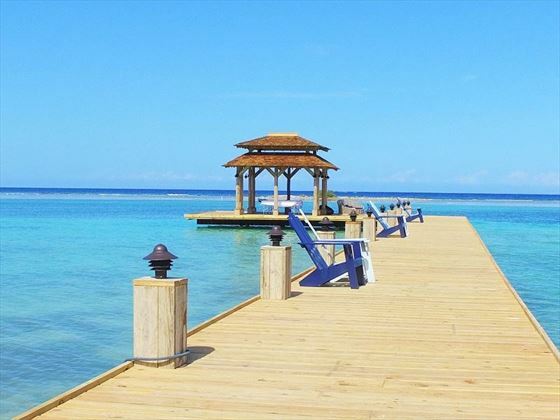 With sweeping golden sands, peaceful swimming pools, luxurious accommodation and divine restaurants, Zoetry Montego Bay is a special beachside paradise perfect for an unforgettable honeymoon. 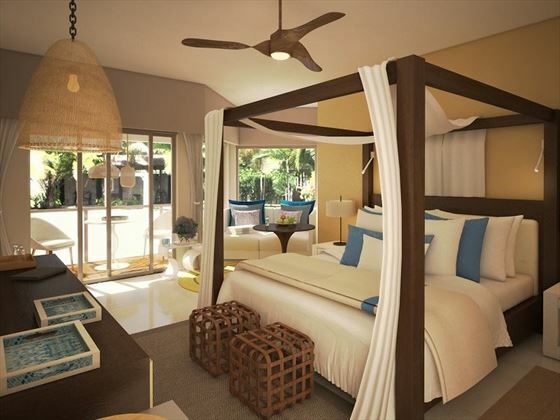 The elegant suites are ideal for loved up couples looking for seclusion and exclusivity. 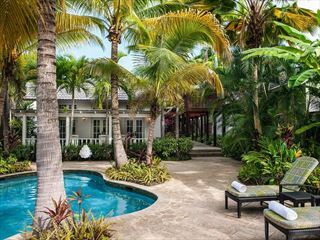 The Master Suite Ocean View is the most indulgent of all with its unsurpassable and utterly romantic ocean views, though we also love the Junior Suite Swim Out Ocean View for its direct access to a refreshing pool. 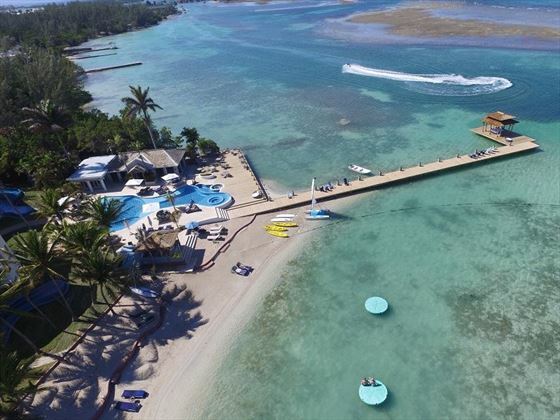 There are plenty of activities should you fancy a break from soaking up the sun, from fun cooking lessons, to exciting water sports including a complimentary motorised snorkelling excursion per person per stay. Or, you could unwind even more with a trip to the spa, where soothing massages and invigorating facials await. 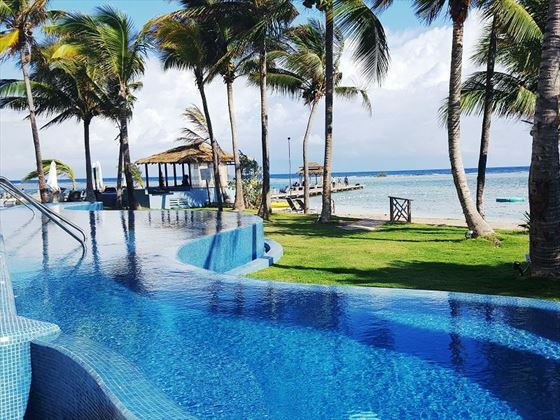 The resort’s fantastic Endless Privileges experience means that you won’t have to worry when you get hungry– all of your meals are included in the price. 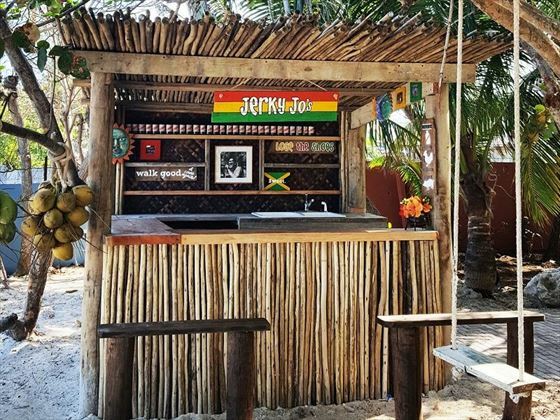 The three delicious restaurants offer an array of sumptuous international cuisines, whilst the five bars offer unlimited top-shelf drinks for you to toast another beautiful day. 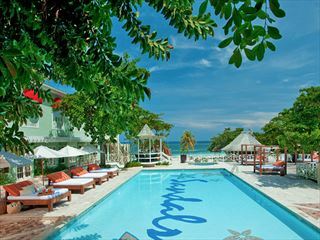 This luxury resort is nestled on Mahoe Bay, located in the opulent neighbourhood of Ironshore in north-east Jamaica. 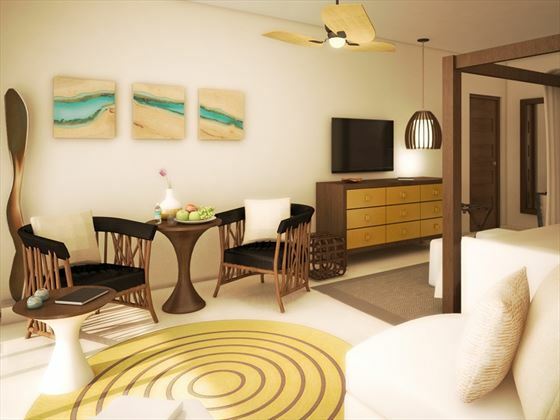 The suites are split into three main buildings, Wood & Water, Bamboo and Blue Mountain, inspired by Jamaica’s ecological tapestry. Junior Suite Tropical View – Classy suites located on the second floor of the Wood & Water and Blue Mountain buildings, featuring a private balcony with a whirlpool and views of the gorgeous gardens. Sleeps a maximum of three adults, or two adults and one child. 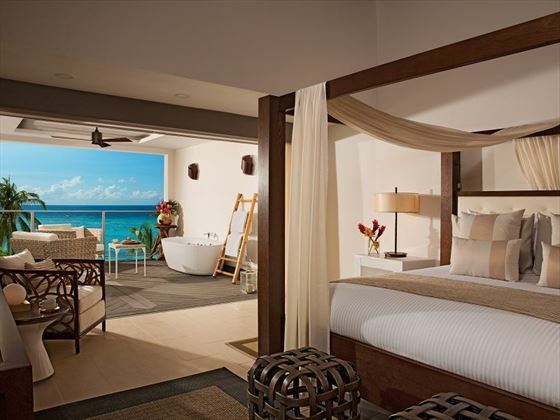 Junior Suite Ocean View – Located on the second and third floors of the Bamboo and Blue Mountain buildings, these stylish suites offer stunning ocean views from the private balcony with whirlpool. Sleeps a maximum of two adults. 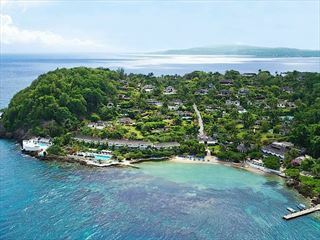 Junior Suite Swim Out Ocean View – Elegant suites located on the first floor of the Bamboo and Blue Mountain buildings, featuring direct access to a private pool from the terrace, and brilliant views of the ocean. Sleeps a maximum of two adults. Master Suite Ocean View – Trendy, spacious suites located in the Blue Mountain building, with more room and a large private balcony overlooking the ocean, plus a whirlpool. Sleeps a maximum of two adults. 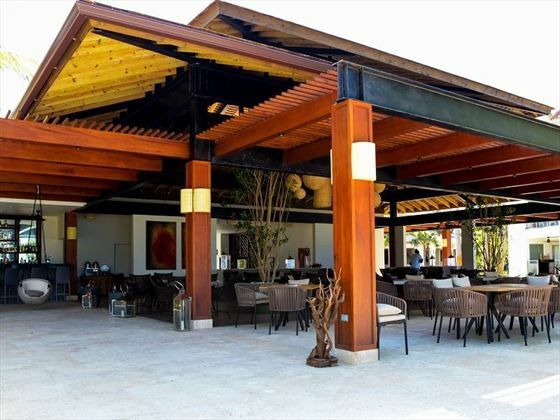 Canoa – Overlooking the sparkling ocean, this is a picturesque spot to dine on fresh Mediterranean cuisine. Dress code: casual for lunch, casual elegance for dinner. Open 12pm-4pm and 6pm-10pm. 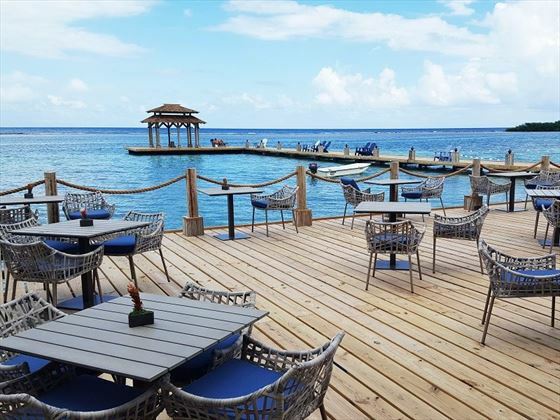 Coyaba – A delicious international fusion restaurant with scenic seating on the oceanfront deck. Dress code: Casual elegance. Open 7am-11am, 12.30pm-3pm, and 6pm-10pm. Polo – A stylish English-style lounge serving tasty small plates. Dress code: Casual. Open 4pm-10pm. 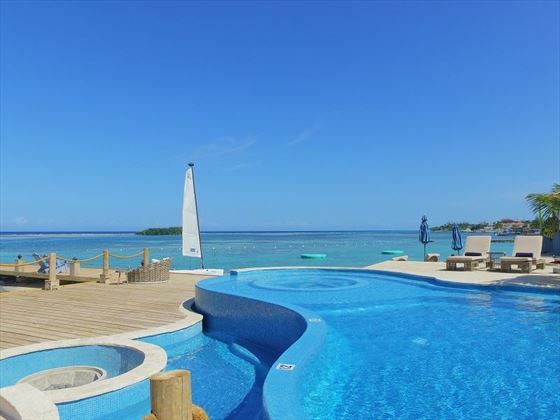 The resort has a lovely infinity pool, and a swimming pool that winds throughout the resort. The spa here is very peaceful, with beautifully manicured gardens, a yoga facility, meditation areas, indoor and outdoor massage cabins, and a fitness centre. Treatments include invigorating massages, soothing facial treatments, and rejuvenating body scrubs.